Chronic back pain that shoots into your legs may indicate you have a progressive condition known as spinal stenosis. 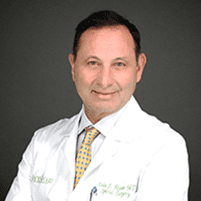 At Spine Group Beverly Hills in Los Angeles County, John Regan, MD, offers a variety of treatment options, including steroid injections, physical therapy referrals, and even minimally invasive surgery, if necessary, to eliminate back pain and leg numbness. With in-office diagnostic tools like an MRI and X-rays, you fast results. Schedule a consultation online with Dr. Regan or call his office in Beverly Hills or Santa Monica today. As you get older, your spinal canal goes through changes and normal wear-and-tear that can narrow the canal. This narrowing is known as spinal stenosis. The condition may also develop as the result of arthritis, which is the degeneration of your spinal joints. If you’re over 50, you’re at increased risk for developing spinal stenosis and may develop chronic discomfort and pain as the spine begins pressing on your nerves. Spinal stenosis may cause persistent pain in your back. You may also feel a burning sensation in your legs or buttocks due to the compression of your spinal nerves. Schedule a visit with Dr. Regan if persistent pain or weakness in your back or legs begin interfering with your daily routine. How do you diagnose spinal stenosis? Dr. Regan initially reviews your symptoms and your medical history. He also performs a physical examination of your back and legs, moving your body in certain ways to determine where the pain originates. To confirm a spinal stenosis diagnosis, Dr. Regan may request X-rays or an MRI to take a closer look at your vertebrae and spinal canal. To rebuild your strength and flexibility, Dr. Regan may recommend physical therapy. Stretching exercises can also help reduce pain from compressed nerves. Dr. Regan may suggest anti-inflammatory medications to reduce swelling around your spinal nerves. Over-the-counter or prescription medications can also be effective in helping you manage your pain. If these therapies aren’t effective in treating your symptoms, Dr. Regan may administer steroid injections to quickly reduce swelling around the spinal nerves. Steroid injections can also help reduce any numbness you experience in your legs. As a last resort, you may need minimally invasive decompression surgery to remove thick ligaments in your spinal column and open up more space in your spinal canal. This type of surgery reduces pressure on your nerves to eliminate pain with long-term results. You can feel confident putting your spine in the hands of Dr. Regan, a pioneer in minimally invasive spinal surgery techniques. To find out more about available treatment options for spinal stenosis, schedule a consultation online or by calling the Beverly Hills office.